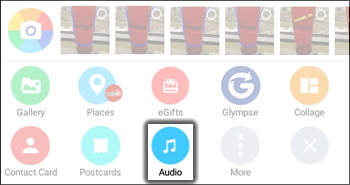 From the attachment section located below the message box, tap Audio. If presented with "Complete action using" options, tap an option. 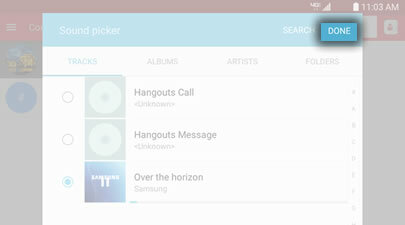 Select an audio file then tap Done. The audio file is sent automatically.